Now that Prime Minister Viktor Orbán has successfully made a mockery of Central European University, convincing its rector, Michael Ignatieff, to spend twenty months jumping through hoops for the government in the naive hope of good faith negotiations, the Hungarian Academy of Sciences (MTA) is next in line for some penance. In an emergency assembly of the Academy on Thursday, President László Lovász announced that the government was cutting the organization’s first quarter funding and that he did not know how they would continue operating given the circumstances. Innovation Minister László Palkovics was, of course, invited to attend the meeting, but decided to snub the invitation and to let the MTA scholars know where they stand by sending a letter instead. Earlier on, the government minister had already explained why he was unhappy with the MTA. He had noted that MTA was involving itself in “unworthy” matters (ie: political discourse) and that members ought not be “burdened” by such things. President Lovász shared with the members Mr. Palkovics’s belief that further funding is unwarranted, as MTA’s research network does no real work. MTA’s network of research units may now prove unsustainable, following first quarter funding cuts. At the meeting, it was decided that MTA would attempt to initiate new negotiations with the Orbán government, communicating the expectation that funding to research units continue. In a compromise, however, MTA agreed to establish a 14-member committee to audit the work of these research units. It is quite clear that research deemed to have a “political” angle that is not in line with that of the current government will have to be halted–mostly likely by the MTA engaging in self-censorship. This is, after all, the beating heart of the regime: there is no need to throw people into prison for their views or take similarly heavy-handed action. It is preferable to have the players and stakeholders censor themselves, for fear of financial, professional or personal penalties otherwise. Mr. Lovász indicated that he would like to negotiate a compromise with the government, which is accusing the MTA of engaging in politics and of being ineffective in its research–much of which, the government argues, is not relevant. Knowing full well what side their bread is buttered on, MTA tried to curry favour with the Orbán government by prohibiting two academic talks pertaining to gender studies and the role of women in computer science. In other words, the Academy believed that this very public form of self-censorship would appease the regime. It failed. Now, perhaps lacking any other option, they are returning to negotiations which, in every instance thus far, have also failed. Mr. Lovász is hoping to convince the government not to cut funding next year. The only way it can possibly do this is to “put up and shut up,” and hope for the best possible outcome. And the MTA is already doing precisely this. The Hungarian Academy of Sciences has thus far had absolutely nothing to say about CEU’s announcement this week that it would be relocating to Vienna. The silence is clearly strategic. The journalist provided a perfectly honest and accurate assessment of the situation. 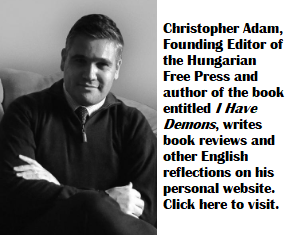 Mr. Adam, Please read the article by STANDPOINT on CEU. There are 28 foreign campuses in Hungary. 27, including Notre Dame, have no problem. CEU and Ignatieff, instead of making appropriate arrangement, complained to Brussels and left wing media. Ignatieff hoped that pressure could be put on the government so they could be exempted. Ignatieff made a bad decision taking on FIDESZ, a party strongly supported by the people at large. This was not Ignatieff first bad decision, he also made one when he ran as the candidate for the Liberal party. We expect on unbiased reporting from you, please do complete research. What was this agreement re CEU Kristóf Altusz negotiated and agreed upon? Didn’t the Hu side said that now everything is satisfactory and signature will follow? Moving the goal posts, we know, but retroactively? Or is it plain lying? Funding is being cut everywhere: The Budapest Kortárstánc Fōiskola will be closing. The school trains dancers at the university level. Principle reason is again, funding cuts resulting in tuition hikes that students cannot afford. This is small compared to MTA, but signals cutting actions on all fronts. Austerity everywhere, most obvious eg. – almost doubling of the allowed overtime up to 300 h (for now) to be PAID WITHIN THREE YEARS. Why all these if the econ’s going great? Like the good old saying; ‘ when you are a monkey on the leash, you have to dance to the tune of your organ grinder, or you’ll go hungry’. Just why is it the the so called “academia” wants to be the monkey on the leash in Hungary. As long one feeds you ,you must indeed have to dance to his/her tune. But that is a humble servant, and not a free academia ! The “servant” is never free !!! Can that “intelligencia” ever learn that much basics? The servant can never lead. It’s a shame ! Get off the dough and be counted as a free and independent thinking academia !!! Tnx for the sincere revelation how the intelligencia incl. the Hungarian Academicians are considered “servants” and “monkeys on a leash”. No surprise though, I know how the fascist regimes operate. Tell us dear, just where the government takes any legitimacy to take the hardworking and producing taxpayers money to pay for teaching dance at any level. Any one who wants to be a celebrity to be an admired dancer on any level, can not, nor willing to make the initial investment and sacrifice to achieve his/her ambitions ???? Just why is that selfish idea that somebody else suppose to provide everything to every one’s desires??? I’m going to tell all “where the government (takes) ..the hardworking …taxpayers money to pay for” dozens of empty soccer stadiums, hundreds of billions to failing soccer academies, for restoring churches in Mexico, etc. All this happens in Orbanistan (ex Hungary). Don’t forget The Dear Leader’s Toy Train! Is that not what has been happening in much of the Western World for many decades now? “While there are 10 Democrats for every Republican among professors over the age of 65, the ratio balloons to 22.7 to 1 among scholars under the age of 36, indicating the ideological disparity could continue to grow as more senior professors are pushed out and replaced by a new generation of scholars.” In other words, we are nearing a complete ideological purge. And those few still left with conservative views, only survive mostly by keeping quiet, at most only challenging liberal-globalist dogma in very subtle and limited dosses, for fear of losing their job and so on. Perhaps in Hungary they are working to install an ideological dominance on the other side of the globalist-patriot ideological divide, but if this is OK, then that should be OK as well. It just doesn’t work that well in translation! In this programme – a clip of which went viral – the anchor says “…a vezetőm” instead of “…a vendégem”. Not really very interesting in and of itself, but so true as to be uncanny. It can’t get closer to the communist/ fascist rhetoric, can it? In the US registered democrat voters outnumber registered rebublicans 2 to one. In places like NYC, Chicago, Miami 6 to 1, In California 4 to 1. So what does it tell you when on the last presidential election in out of the 3175 counties the voters elected the republican candidates in 3045 counties. Out of the 538 electoral districts 306 voted republican. And at the last 3 presidential election the democrats spent a billion dollar. Even now at the mid-term election of 2018 they gained seat in the Senate. Simply because the economy is better than it ever was in the last 5 decades. Peoples earn more than ever. More blacks and Latinos at work than ever. But the leftist hate propaganda and violence is louder and more than ever. Oh come on OBSERVER be honest now ! I did NOT say they are “monkey on the leash” !!! I ASKED if they want to be LIKE the money on the leash! If they want to fed by the organ grinder they have to dance at the tune of the organ grinder. If they do NOT want to be in a situation like the monkey on the leash of the organ grinder, they need to be FREE and INDEPENDENT from the government !!!! OR they will be just like they were under the total rule of the national and international socialists. That you did not answer !!!! Intellectuals also need to grow up and earn their living like other working adults and taxpayers ! First they came for the social “scientists” , and now the real ones …. Could you be kind and provide some detail on that church renovation in Mexico by the Hungarian government spending the taxpayers’ money on ??? What a country is that, the government has to go and pick up the garbage after its population. Do not they pay their bills on time yo the sanitation company to do its work? Just who does pacify them and change their dippers ? Is that all the government’s job??? Just when are they going to grow up and act like adults? Nobody is being arrested,try not to get extreeme. Academians need to wake up, get motivated,do something useful for society, like advance science and the nations consciousness to act in their own advancement, not just sit on their imagined glory and be supported by the taxpayers like some royals of the past centuries. Pesti Sràcok.hu is another FAKE media feeder. We don’t need social justice studies poisoning the students in this country, as for the “university of dance” shame but does dance really need a university level funding? Permit me to point out that national academies of sciences in Western Europe and the USA are honorary associations who are not engaged in soliciting and managing research funds from the state or private sources. 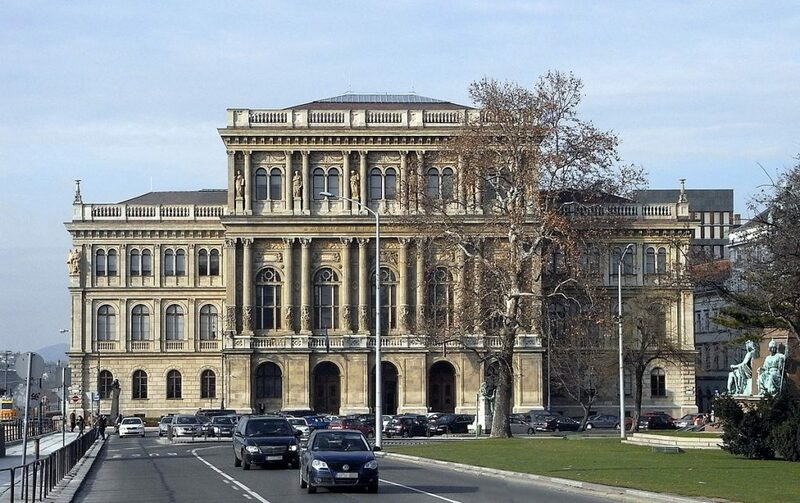 The Hungarian Academy of Sciences MTA is an abnormality with its operational system being a vestige of a totalitarian past. It is nothing more than a country-club of old mediocrities mascarading as scientific authorities and enjoying a lifetime appanage. In the real world, scientists, be they young or old, are judged by the merits of their current research projects in competition for research grants. I was the first American scientist who spent a sabbatical in Hungary in 1972 at the inception of an exchange program between the Natl Academy of Sciences USA and the MTA. I have followed the scientific activities and the struggles of the younger generation of scientists in Hungary ever since. I am one of the many ex-Hungarian professors who are advocating the dismantling of the MTA power structure and creating a level playing field.